Join Belize 2020, An Ignatian Partnership, for an evening of fellowship, refreshments, and great speakers on Tuesday, December 5, at the Nolans' condo. Carol Beckel, Ph.D., P.T. and Chris Collins, S.J. will share their experiences with the important mission of Belize 2020. Refreshments provided! When: Tuesday, December 5, 2017 | 5:30 - 9:00 pm. Belize 2020 provides funding and assistance to an extended-day academic program focusing on students who might fall behind at St. Martin’s De Porres. A $5 suggested donation will help fund a student in the program. Carol Beckel, Ph.D., P.T. is Assistant Professor of Physical Therapy and Athletic Training at Saint Louis University. She has been a Board Member and volunteer physical therapist at Hillside Health Care International in Punta Gorda, Belize and has been instrumental in linking SLU students with the Hillside clinic for more than 10 years. 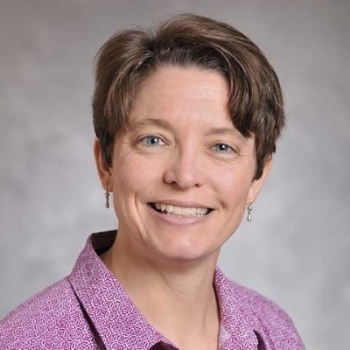 Dr. Beckel was honored as one of Saint Louis University's 2015 Women of the Year and has served as a member of the Health Policy & Administration Section of American Physical Therapy Association (Cross Cultural Special Interest Group). Chris Collins, S.J. is Special Assistant to the President for Mission and Identity at Saint Louis University. Fr. 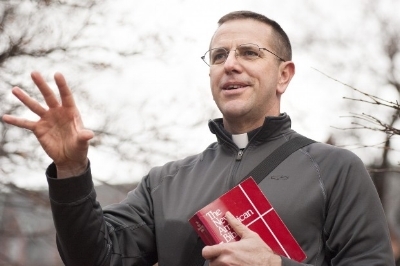 Collins has served as Assistant Professor of Theology and Director of the Center for Catholic Studies at SLU and was instrumental in the founding of Belize 2020. He served as the local group's first chair and has facilitated the University's continuing involvement in the work of the Jesuits in Belize. He is a member of the Peace & Justice Commission of the Archdiocese of St. Louis, the Board of Trustees of DeSmet Jesuit High School and ACCESS Academies.